Which of these is your Art of Building? Building Opportunities For Young People In Wales. From next month the newsletter will look a little different because Constructing Equality is undergoing a rebranding. We have had it redesigned to be more readable, accessible and enjoyable so we do hope you will continue to use it to keep you up to date with the news, events and best practice from the industy. Below is a sneak peak of our new logo and link to a screen shot of the new website, next month you will be able to look over our new site find to resources and information in a much easier format. Also this month sees the first Anonymous blog and as a balance we have written a blog on the brilliance of construction. There is also, WTS transport event and the chance to win a £20 M&S voucher. Finally we are beyond excited this month as friend of Constructing Equality Ross Morrison is representing GB in the Wheel Chair Rugby at the Paralympics so please follow as our Twitter of the month. The government has pledged to extend eligibility for a new £1,500 apprenticeship training grant to more construction SME employers following the publication of the Jason Holt review on apprenticeships earlier this week. Introduced in April, the £1,500 grant was originally on offer only to SMEs that had not taken on an apprentice in the past three years. But this week BIS announced that it would now be available to any SME employer that had not taken on an apprentice in the past 12 months. The grant will be available for up to 10 apprentices, and companies with up to 1,000 employees can now benefit. Training providers will also now pay employers the full amount of £1,500 at the 13-week stage after the apprentice starts, instead of in instalments. From next summer, fees will be introduced into employment tribunals and the Employment Appeals Tribunal to encourage businesses and workers to mediate or settle a dispute rather than go to a full hearing. By introducing fees, people using employment tribunals will start to contribute a significant proportion of the £84m cost of running the system. The aim is to reduce the taxpayer subsidy of these tribunals by transferring some of the cost to those who use the service, while protecting access to justice for all. Two main fees will be introduced, the first payable at the issue of the claim and the second, the hearing fee, payable around four weeks prior to the hearing taking place. From summer 2013, mediation by a judge will cost £600 rather than the £750 proposed in the consultation document. This offers a considerable saving on the £1,200 it would cost to take a “level 2″ claim all the way to full hearing. The lower fee to take the administratively simpler “level 1″ claims to a full hearing will be £390 – which drops to just £160 if settled before the hearing fee is payable. We love this CIOB campaign to get people looking at buildings and the building process in a different light; so if you have a minute take a moment to look at the photos and pick a favourite. The twelve shortlisted images truly captured the imagination of the judging panel, which included Peter Murray, founder and director of the New London Architecture Centre and the renowned architect, writer and broadcaster, Maxwell Hutchinson. Among other qualities, the “power,” “elegance” and “humour” of the subjects and the composition of the photographs really struck a chord. Now that the judges have had their say, the CIOB is inviting everyone to decide which of the twelve finalists will be awarded the prestigious title of ‘Art of Building Photographer of the Year’ and scoop a cash prize of £2,000. Voting is free and will take place via the competition website at artofbuilding.org. In August 2012, the Government Equalities Office (GEO) published ‘Changing Attitudes to Equality. Key findings’. This government report helps us to understand how people view equality and where discrimination is most likely to affect people. Whilst not specific to construction it can help us inform our training and strategies. 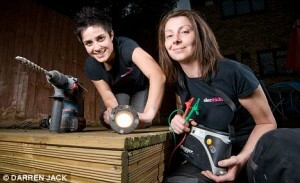 Two women who trained as electricians have been so successful they are aiming to set up a female-only franchise next month. Leah Burman, 40, and Christine Vaghela, 31, who cover Hertfordshire and north London, paid £1,700 each for a five-week City & Guilds vocational course before shadowing an experienced electrician for more than a year. In 2010 they set up Elecchicks with £10,000. The Construction Youth Trust has launched a training initiative for young people in Wales. They are delivering training courses to unemployed young people across South Wales thanks to the Engagement Gateway funding from the WCVA, originally won through the European Social Fund. The taster sessions engaged a range of disadvantaged young people including those who were homeless or had a history of offending. Many of them didn’t get on well at school and so it was a real achievement for them gaining NQF qualifications in subjects such as plastering and carpentry. The taster sessions also benefited the local area as community centres received a mini makeover where they tiled nursery and bathroom walls and painted rooms. The CIBSE Board has recently agreed to establish a Panel to 'advise and support the Institution on all elements of diversity', recognising that some groups are under represented in our membership and in the profession as a whole. Immediate Past President Andy Ford FCIBSE is the Panel's Chair, and the Panel is seeking volunteers from all over the world and from all stages of membership in CIBSE to join. Initially, it is likely that the group will meet 3 or 4 times a year in London with the possibility of linking in via teleconferencing from around the country and the world. If you would like to be considered for Panel membership please complete our online form here by 10 September 2012. Please note you will be prompted to log in as a member to complete the application. The purpose of this AWNZ website is to provide a current database and network of women in architecture associated with New Zealand. You may be working within New Zealand or elsewhere in the world, or currently not working in the architectural field. Whatever your relationship to architecture, your information counts. 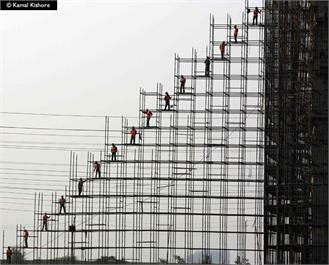 Individuals and practices are encouraged to upload their details to build this growing database. Information collected will create a relevant and important resource of statistical information and eventually lead to an exhibition of architecture + women planned for 2013. It also allows for the many diverse working lives of women trained in architecture to become more visible. If you can, get along to this event held in partnership with the highways agency and WTS. They have Wieteke Graven, McKinsey & Co's European lead for gender diversity research as a keynote speaker. Where The Priory Rooms Meeting & Conference Centre, Quaker Meeting House, 40 Bull Street, Birmingham. The Agency and WTS are hosting a free lunchtime seminar and networking opportunity to give you the chance to both hear McKinsey & Co’s latest research on gender diversity and to network with people interested in this area from across the transport sector. NAWIC, the National Association for Women in Construction is a not for profit organisation run on a voluntary basis by professional women working either directly in the construction industry or for businesses who provide services to the construction industry. It encourages women to pursue, establish and sustain successful careers in the industry. NAWIC was launched in the north east in February 2012. NAWIC north east are holding a summer ball on 7 September at Durham Castle from 7pm. Tickets cost £45 per person and table booking can be arranged. To purchase your tickets or for futher information, please contact Denise on 01325 260055 or denise@nivenarchitects.co.uk. 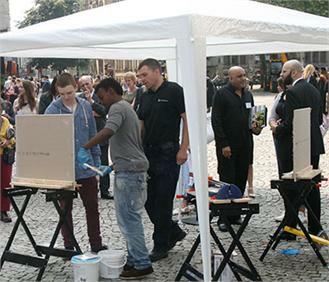 The Latest Construction Youth Trust mobile classroom was unveiled at Manchester Town Hall last month and guests from the construction industry across the North West were able to witness the classroom in action with young people taking part in a lesson in tiling. The classroom will visit schools and community centres across Manchester delivering taster sessions to young people in construction-related skills, from carpentry, tiling and plumbing, to painting and decorating. We have three similar mobile classrooms operating across Wales and London which can provide taster sessions for around 1,200 people a year and have helped many young people to become apprentices and enter full-time employment in the industry. The Building Good Employer Guide is a celebration of the best companies to work for in the construction industry. Now in its 6th year, The Building Good Employer Guide will identify and showcase the top companies of 2012 based on key factors such as employee benefits, diversity and leadership. A panel of well-respected industry experts will be judging this year’s entries alongside Building’s editor Sarah Richardson. This is your chance to be independently recognised as one of the industry’s best places to work. They’ll be looking for companies which show they consider employees’ personal welfare and development including motivation, training and pastoral care. These areas are becoming more significant as companies look to expand globally and companies should look to demonstrate this in their entry. The shortlist for the 2012 WISE Awards in association with Amey has been announced. There was an overwhelming response to this year’s prestigious WISE Awards. The nominations received for the eight categories were outstanding, demonstrating a true commitment from Industry, Academia and women working in all areas of science, engineering, technology and construction. WISE Diversity Award - Arup, Careerplayer, EDT, Generating Genius, Ignite! On Thursday, 23 August 2012, the NSW Chapter of the National Association of Women in Construction (NAWIC) presented the prestigious Laing O’Rourke Crystal Vision Award to Peter Bailey, CEO of Arup in Australasia. The award celebrates senior individuals who actively promote the participation of women in the construction industry and encourages their career progression. Bit of a mix of Construction and E&D terminology, if there are no right answers we will award the prize (and publish) the guesses we find most amusing. Last month’s winner was Clare Doyle, Executive Engineer at Hoare Lea, there’s a £20 M&S voucher on its way to you.